Take your child to visit a Children’s Dentist when the first tooth comes in. Your Jenkintown Children’s Dentist can be an important part of teaching you how to safeguard your child’s dental health. Do not put your baby to bed with a bottle at night or at naptime. Milk, formula, juices and other sweet drinks all contain sugar, so if you put the baby to bed with a bottle, fill it with water. When planning the child’s diet choose foods that do not contain a lot of sugar. This includes giving your child fruits and vegetables instead of candy and cookies. Also, dried fruits, like raisins, can easily stick to the grooves of the teeth and can cause cavities. As soon as your child has a tooth you should begin to use a small coating of fluoride toothpaste. Clean the teeth at least twice a day right after breakfast and just before bedtime. You can begin using toothpaste when your child is 12 months old. However, only use a miniature portion on the brush and press it into the bristles so your child won’t eat it. On your child’s first birthday, you should teach them to drink from a cup instead of a bottle. According to the Centers for Disease Control and Prevention, more than 40 percent of children have tooth decay by the time they reach kindergarten. In the beginning, your child will need hands-on help from his/her parents and their Jenkintown Children’s Dentist to learn how to care for their teeth and gums. A parent should take on the role of brushing and flossing a child’s teeth until the child is at least 6 years old. By the age 6 or 7, your child should be able to learn how to brush his or her own teeth twice a day with your continued supervision. 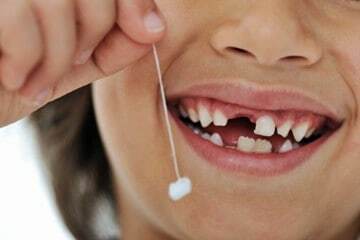 Flossing requires more manual dexterity than most children exhibit until age 10 or 11 and even then may require your help. As your child becomes more active with sports or leisure undertakings like biking, skateboarding or snowboarding, it’s a good idea to encourage them wear a mouthguard whenever they wear a helmet. While it may feel funny at first, mouthguards can protect their teeth from getting broken or knocked out. They also cushion blows that would otherwise cause injuries to the lips, face and even jaw fractures. Dr. West, Dr. Wilk and entire the staff of Jenkintown Dental Medicine can provide instruction and direction to you on delivering the proper care and prevention for Children’s dental needs in Montgomery County. Our focus is on total prevention and early appropriate treatment. We understand the importance of building trust from an early age. 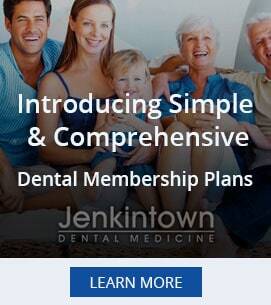 Our Jenkintown Children’s Dentist practice proudly serves Abington, Ambler, Cheltenham, Hatboro, Horsham Jenkintown, North Wales, Montgomeryville, Lansdale, Upper and Lower Gwynedd, and the surrounding areas in Bucks County including Warrington, Chalfont, New Britain, Doylestown, and Colmar. Call your Children’s Dentist at Jenkintown Dental today at 215-885-6565.